San Jose, California – January 30, 2019. Key Housing, California’s leading source for corporate housing, is proud to announce a page update focused on San Jose, California, the state’s third-largest city. With the booming Bay Area economy, more and more corporate types are competing for fewer and fewer opportunities for short term and corporate housing in San Jose. The new page helps these persons get started on their search and encourages them to reach out for professional help. To view the Key Housing updated page and listings for San Jose corporate housing, please go to http://www.keyhousing.com/rightside.asp?location=san%20jose. Business leaders searching for professional corporate accommodation in the Bay Area can bookmark the updated page to references as needed. VIP’s ready to travel to the Silicon Valley can reach out to Key Housing experts for a “rental consultation” to find the right short-term corporate rental. Fully furnished apartments can include kitchens, appliances, laundry, and parking. In addition, the company is announcing an interrelated news item for February, 2019. An example of a top San Jose corporate housing unit is the Promenade at Rio Vista’s “Bella Villagio.” The property has garnered the coveted February 2019, featured complex listing http://www.keyhousing.com/rightside.asp?action=form3&ID=868. Interested parties can review the blog page for more details concerning San Jose corporate housing at http://blog.keyhousing.com/tag/san-jose-corporate-rentals/. Here is the background on this release. The Bay Area is a popular destination for business travelers. According to Silicon Valley Business Journal, The San Jose International Airport has grown three times faster than SFO and Oakland. A large number of traveling employees can spend weeks or several months working for a San Jose-located company. In these situations, corporate housing can be the more affordable, comfortable choice compared to a long-term hotel stay. A VIP can experience several stress-reducing benefits by staying in a furnished corporate housing unit. Cooking healthy meals in a fully-stocked kitchen could lower blood pressure. The ability to unwind with a glass of wine or non-alcoholic beverage on a comfortable couch in quiet can relieve work tension. Inviting home furnishings along with on-site gyms and laundry facilities can cut down after-work errands. 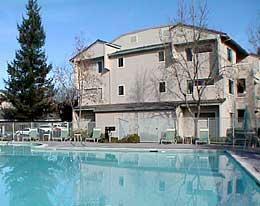 For these reasons, Key Housing has updated the page for San Jose corporate housing. Visiting VIP’s can benefit from a home-cooked meal in a cozy fully-furnished short-term rental. Key Housing Connections Inc. specializes in serviced apartments, corporate housing and corporate rentals in Northern California cities like Oakland, San Francisco, and Palo Alto. Whether the need is for a San Francisco serviced apartment or San Jose corporate housing, interested parties should browse listings on the website to find the rental that fits one’s short term corporate housing needs. The service is competitive with extended stay hotels in cities such as Redwood City, Mountain View, and San Francisco. Many Europeans on holiday and people seeking pet-friendly short-term rentals or vacation rental apartment services depend on Key Housing for their serviced apartment or other temporary housing needs. Whether a person is after a Silicon Valley serviced apartment, short term rentals in San Jose, or a serviced apartment near San Francisco, Key Housing can aid the search for the right apartment in the Golden State. This entry was posted in Press Releases and tagged San Jose, San Jose Corporate Housing, San Jose Serviced Apartments on January 31, 2019 by Lee McDonald.